Vintage Swedish Rug by Anna Joanna Angstrom, Origin: Scandinavia, Circa: Mid-20th Century – Here is a captivating and beautifully woven vintage carpet – a Swedish kilim, designed by Anna Johanna Angstrom in Scandinavia during the middle years of the twentieth century. 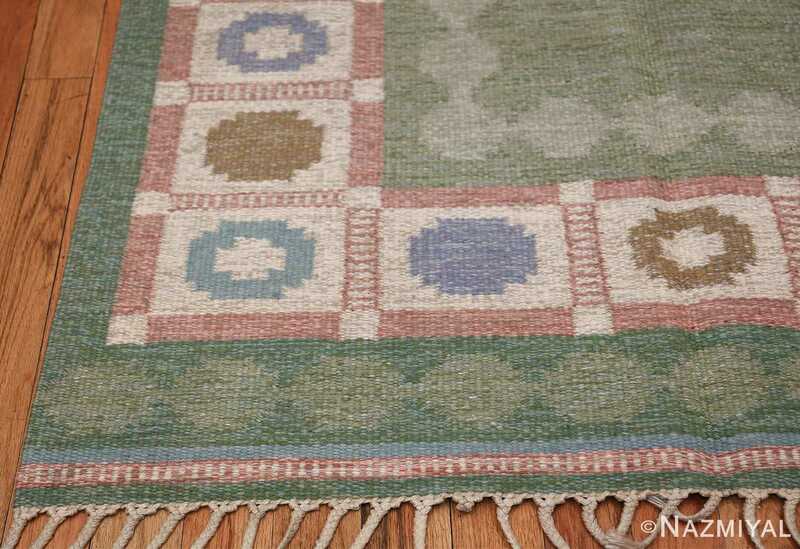 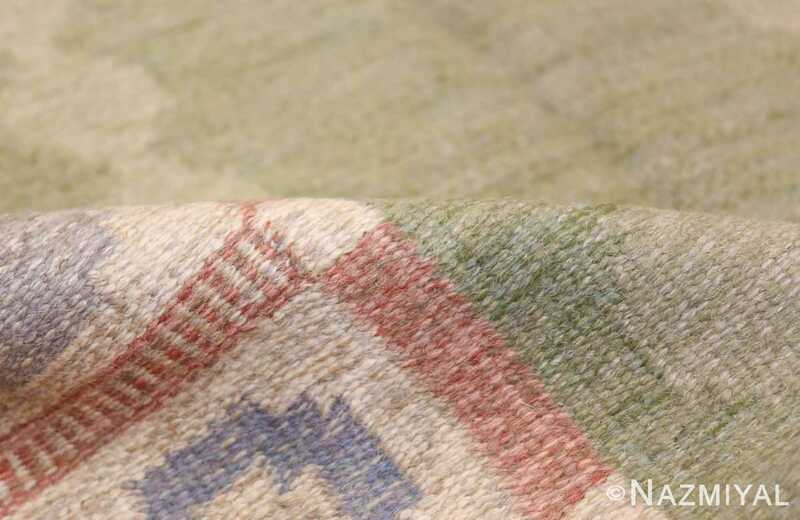 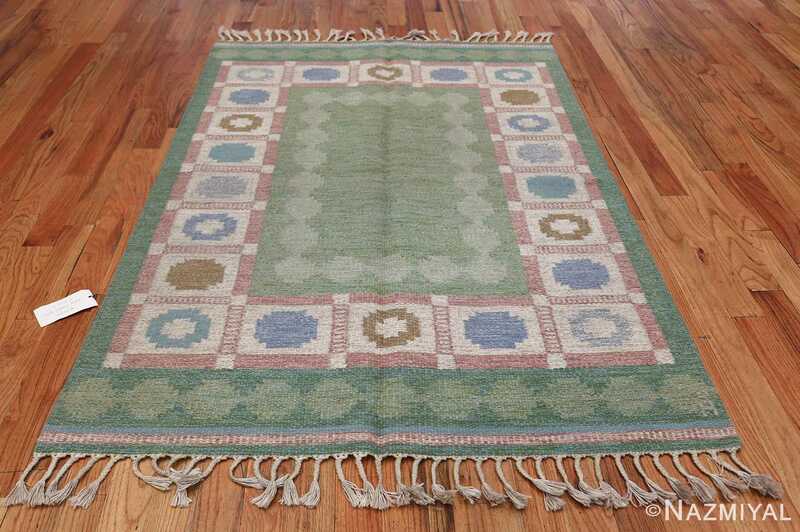 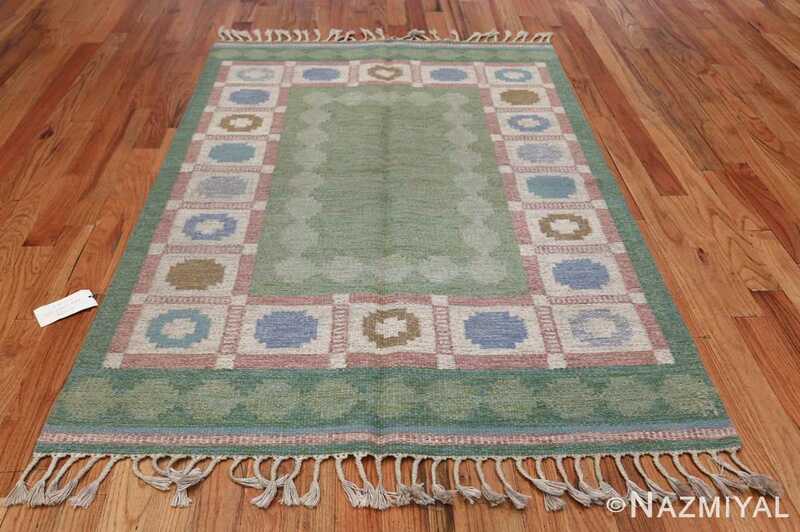 Boasting a lovely design characterized by a pleasing palette of spring pastels, this vintage rug is a charming example of a popular and important vintage rug style. 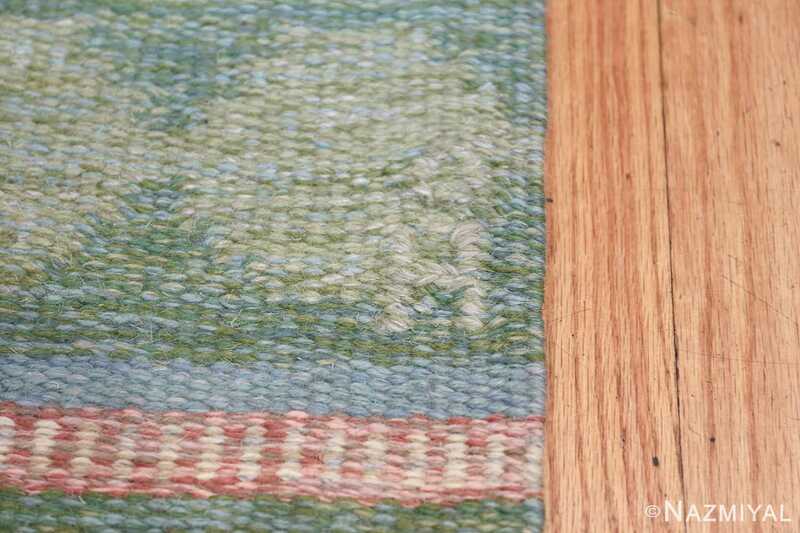 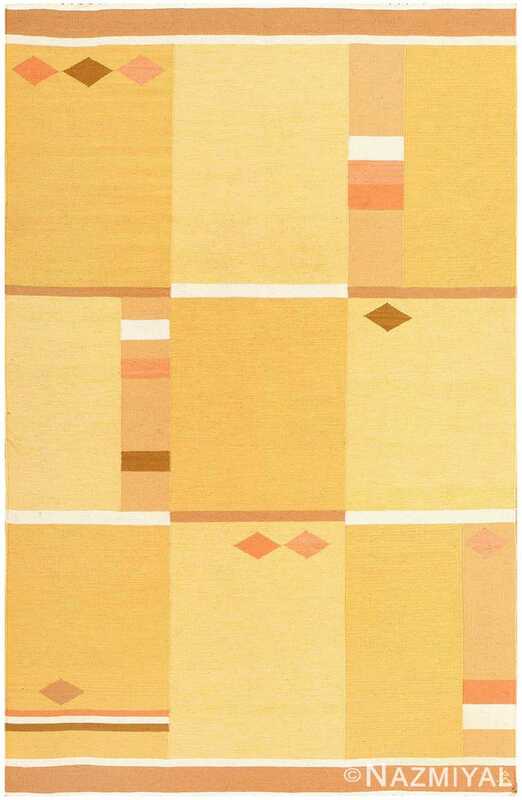 The composition itself is highly representative of certain prevalent trends in mid-century Scandinavian rugs and carpets, including its simple and straightforward format, in which a series of simple borders surrounds an even simple field. 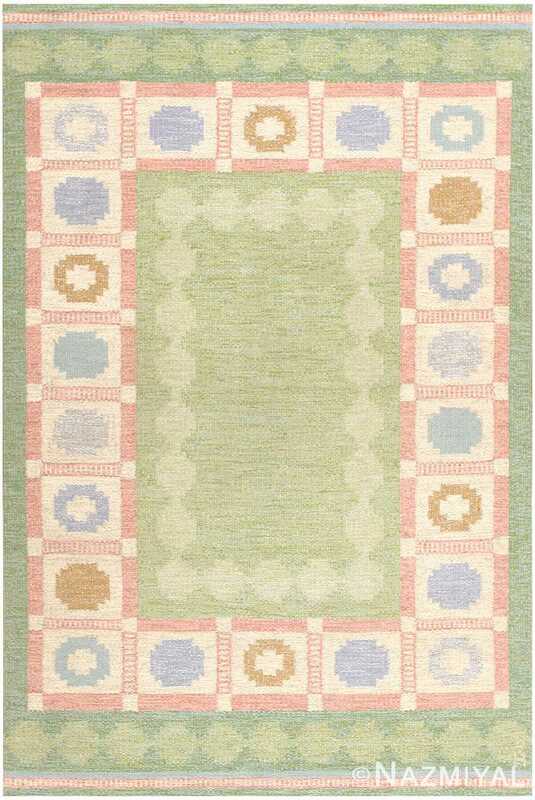 A comely border of pink is bounded on either side by a soft shade of green – on the outside by an outer border, and on the inside by the field. 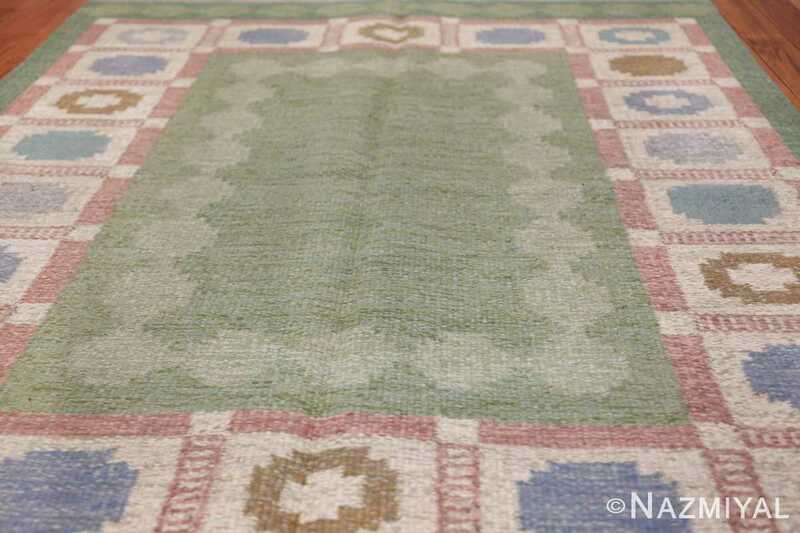 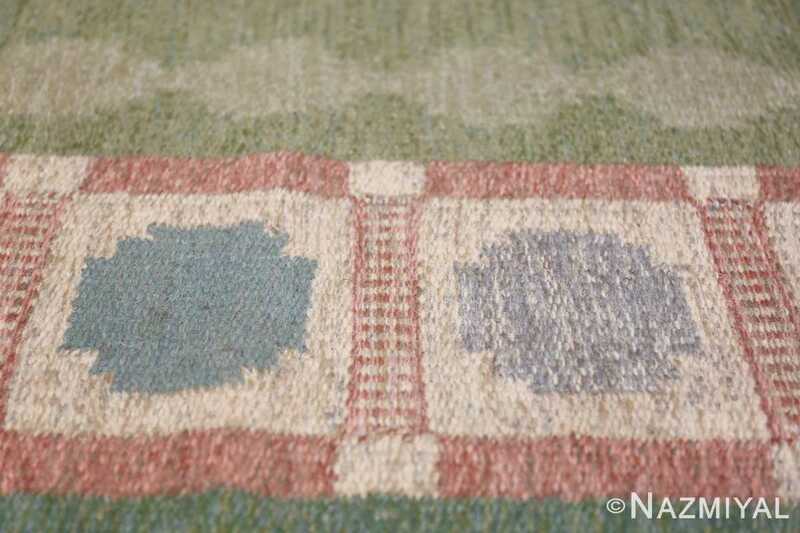 This deconstructed format brilliantly communicated the essential qualities of carpet design, without intrusively doing so; the carpet itself is a lovely example, so much so that its broader commentary fades into the background. 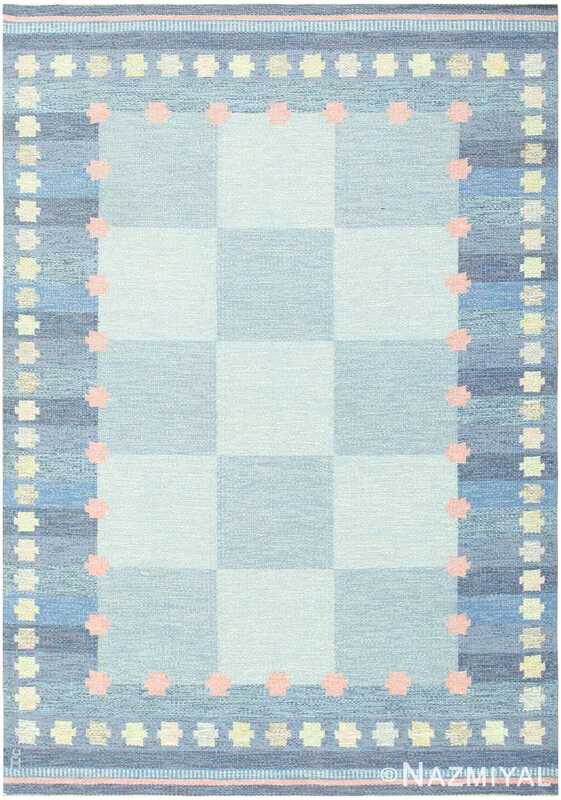 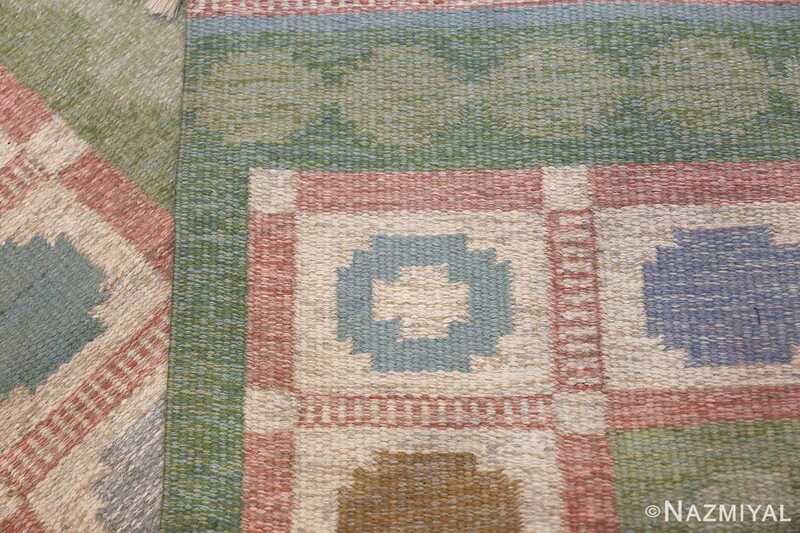 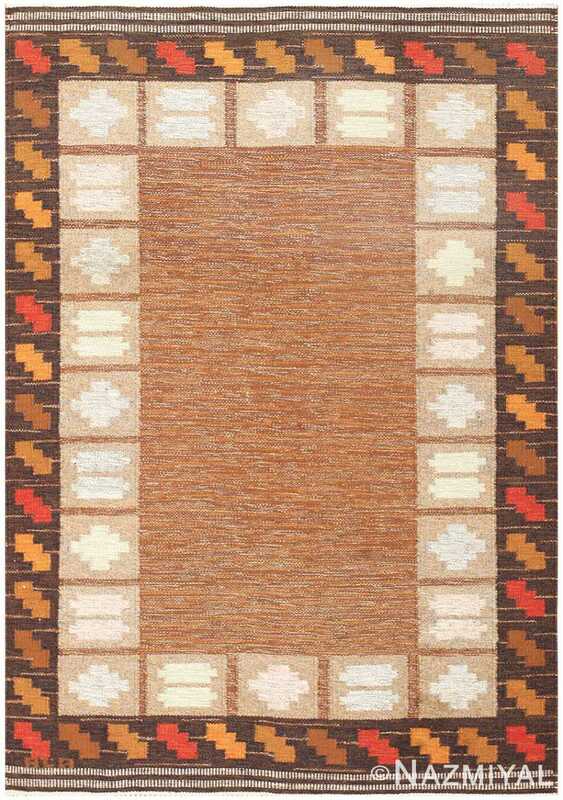 A lovely Swedish kilim, this carpet is an excellent and alluring composition.